You probably already know that the state of California produces almost half of all the fruits, nuts, and vegetables grown in the United States. But did you know that most of that food comes from our very own backyard in Central California? In an effort to highlight the fruits of our local farmers’ labor, Chef Kyle at The Steakhouse at the Paso Robles Inn creates a special menu each month featuring the fresh ingredients grown just beyond our doors. So what’s cooking this February? Farmer’s Market Blood Oranges. 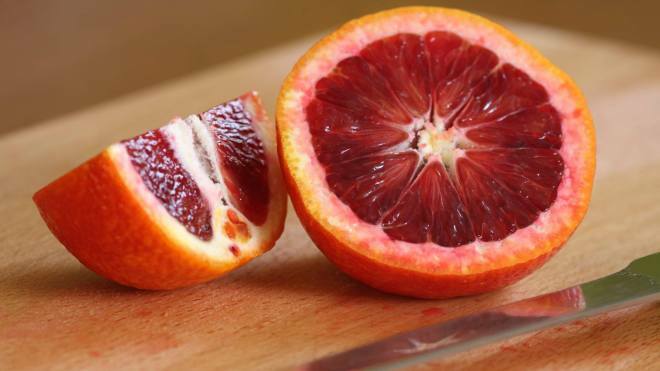 You might not know it, but odds are you’ve encountered a Blood Orange before! Just like a regular orange, they’re orange! However, once you cut into one it’s an entirely different story—and easy to see how Blood Oranges earned their name. The juice from this fruit won’t be orange, but a bright pink (almost blood-like) liquid instead. This color comes from high levels of anthocyanin pigment, and can only be produced in the winter and spring because “cooler weather promotes the presence of anthocyanins in blood oranges,” making them ripe for the picking just in time to be February’s featured local ingredient. As far as flavor goes, you can expect a sweet taste that blends raspberry and orange. Intrigued? 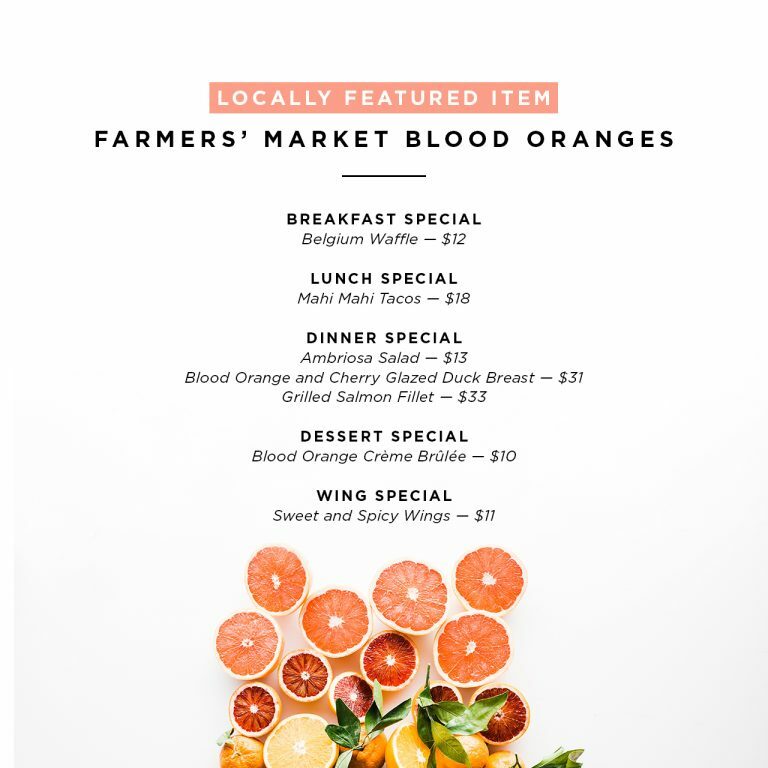 Visit The Steakhouse to try Blood Oranges in a variety of delicious menu offerings, available all February long. Stick to the sweet stuff and opt for a fluffy Belgium waffle topped with a compote of blood oranges and wild blackberries at breakfast. Looking to spice things up? Visit for lunch and try our Mahi Mahi tacos with a red cabbage slaw, cherry blood orange salsa, and micro greens. Explore our dinner and dessert offerings below, or click here to view the full menu. Already hungry? Reserve your table now and we’ll see you soon!